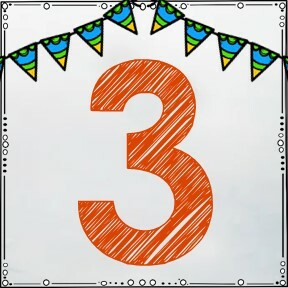 Welcome to April's Pick 3 Party hosted by Marissa from the Inspired Owl's Corner, Lisa from PAWSitively Teaching, and Ashley from Just Reed! It's April! Welcome spring! So happy it's finally here! We've had some wonderful days with great weather, although the last few days have been super windy, rainy and just miserable, but that should calm down soon and then all will be well! Time to start working in the garden. Spring break is over for many but not everybody. Some districts have not had Spring break yet so they still have that to look forward to. Whether your break is over or not, April is always a beautiful month. I found some cool pins I hope you enjoy! Now more than ever there is a strong emphasis on taking care of our planet--our only home. Earth Day is April 22nd. Celebrate by reinforcing how important it is for your students to appreciate the home we have and how important it is to take care of it. I thought this poster was a cool activity because kids can add their own ideas about what they can do to help care for our home! Here is a fun poster for kids to reflect on their Spring break. When they are completed your room will be bright with spring ideas! The poster can be adapted to be suitable for higher levels. Click on the poster to find the pin and download a poster. It's a FREEBIE! 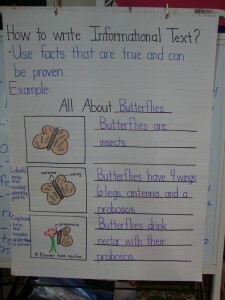 I saw this and thought it was a great model for teaching kids to write informational text. It is a lower level example, but sometimes I like to use a simple model and explain how it can be adapted for more complex ideas. 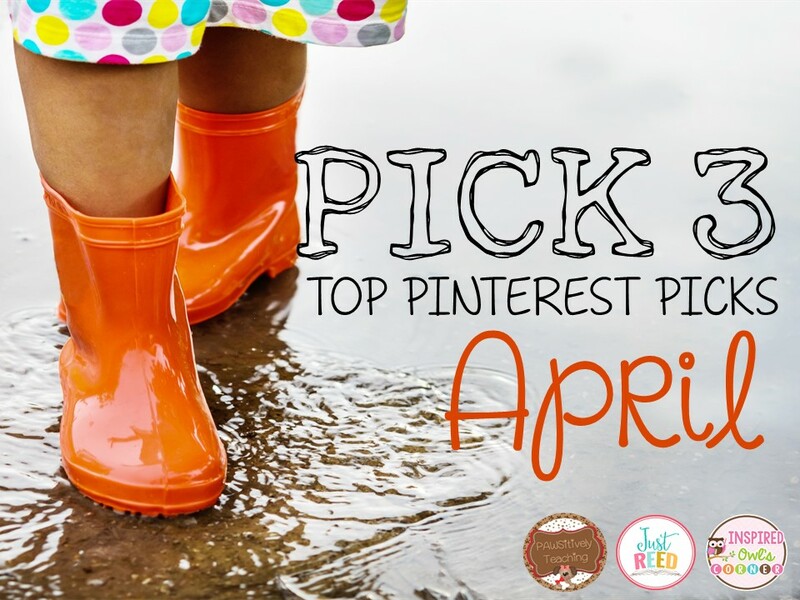 Check out my Pinterest feed for more great April and Spring ideas. Feel free to peruse my boards to find some awesome ideas. Visit the other participating blogs for more creative ideas and leave comments everywhere to tell bloggers what you think. If you have an interesting activity for April or a recipe or an April-anything-at-all pin, feel free to join the link-up. Have fun! Posted in Linkys on April 3, 2016 by Kathleen. Nice ideas. 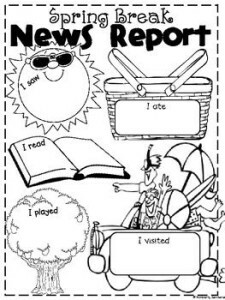 The spring break report would help those remember specific things they did during the break. So glad this pin has value to you. I like it because kids always enjoy writing about themselves. We get them writing. that's the important thing! Thanks for leaving feedback. So glad you like the poster. I just love Earth Day. It's so good to get kids thinking about the bigger picture! They always seem to enjoy being helpful! I love your pins...esp the Earth mobile. That would be a great craft for Earth Day. Thanks for linking up with us! 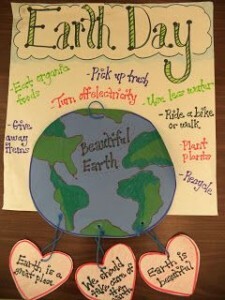 Enjoy Earth Day with your class! It's a great holiday! It's my pleasure to link up. 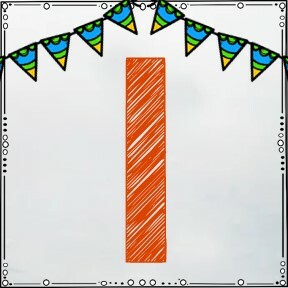 Thank you for hosting every month. Great idea for Earth Day! Thanks for linking up and sharing such great ideas! Enjoy your Earth Day celebration! 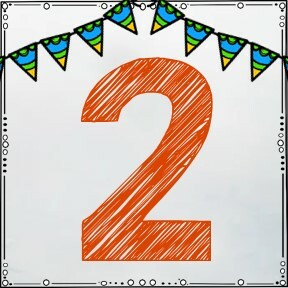 Thanks for hosting the linky every month. I like that Earth Day poster. The hearts are a nice touch. Thanks for the compliment and thanks for the feedback. Great Earth Day resources! I love that writing anchor chart too! Have fun celebrating Earth Day. It's such an important holiday for the kids to learn about our home, planet Earth. I just pinned that Spring Break poster, too! Have it in the plans for next week! I enjoyed stopping by your blog. So glad you can use the Spring Break poster. I hope you and the kids enjoy it! That poster is so amazing! Great pin! The kids love those posters! Have fun!